This is such an easy and gorgeous project to make. 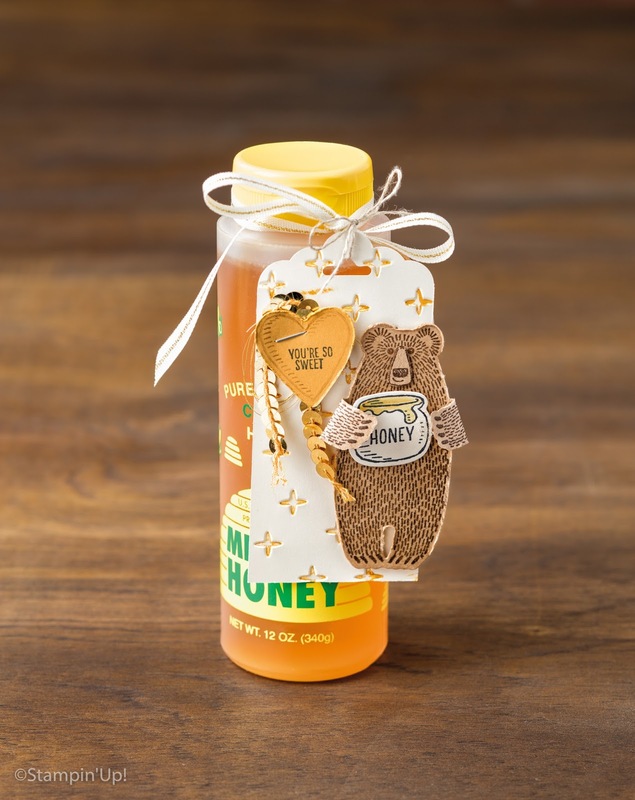 Gift a lovely bottle of honey (or something else) to someone special with a beautiful Bear Hugs tag. 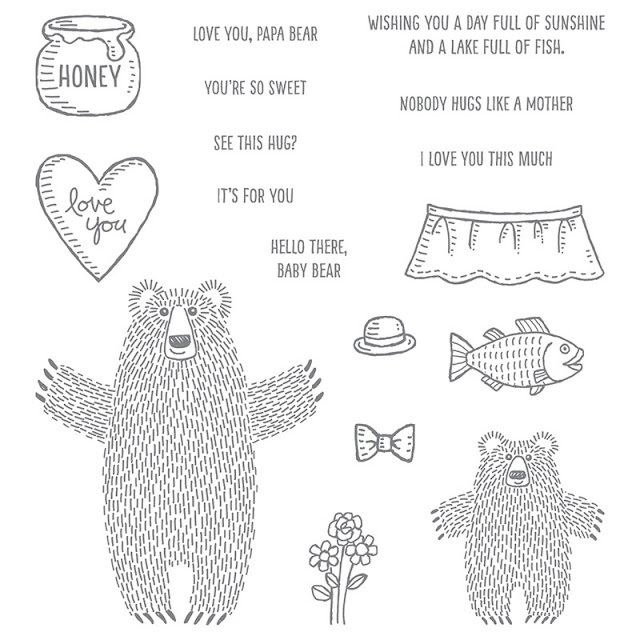 The Bear Hugs stamp set is such a fun set to use, children and adults alike love it! 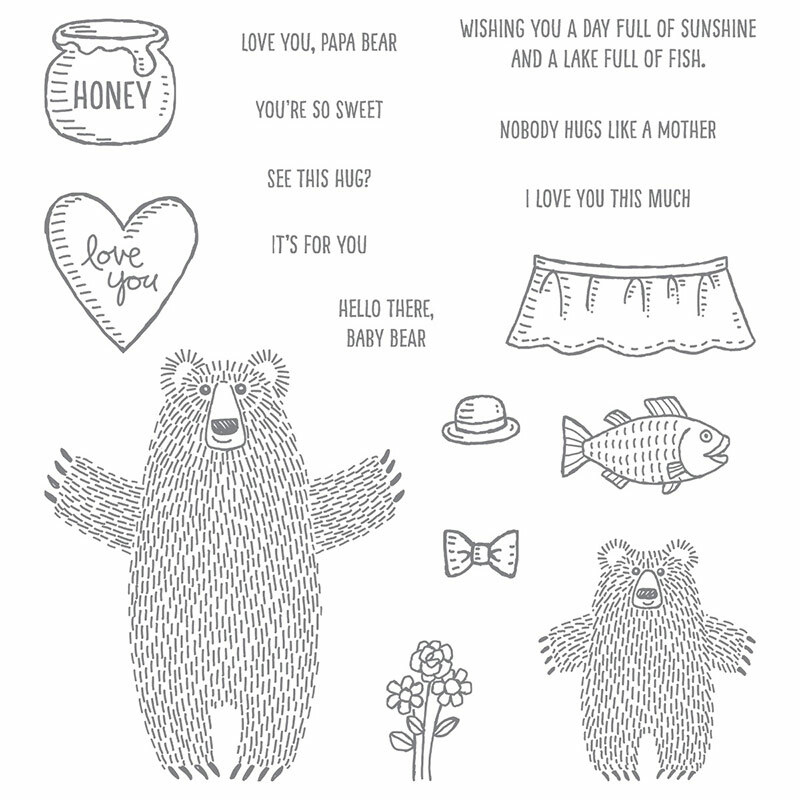 There are matching dies ~ Bear Hugs Framelits Dies ~ which are run through the Big Shot and make cutting your bears out so easy. I have this set at home and it has given me hours of fun. You could use smaller jars of local honey for fabulous wedding favours, or at the table at Christmas for a table gift. If you Google 'Bear Hugs stamp set Stampin' Up!' you'll find an array of amazing projects made with this set. Please don't hesitate to drop me an email if you have any queries regarding these (or any) Stampin' Up! products, I'd only be too happy to help! Email address is below.